Collecting emails on your website is important. There is a lot of hardwork which goes behind building a successful email list. Right from creating the right strategy to working on the right copy and then targeting your email subscribers form in the right location. However, in spite of doing all this homework, there could be one major loophole. Your email form can be attacked by bots that can contaminate your email list. Once your email list is polluted by bots it will take manual effort, time and energy to clean up your list. So why wait that long? Instead, take valid precautions to safeguard your email forms from such bot attacks. 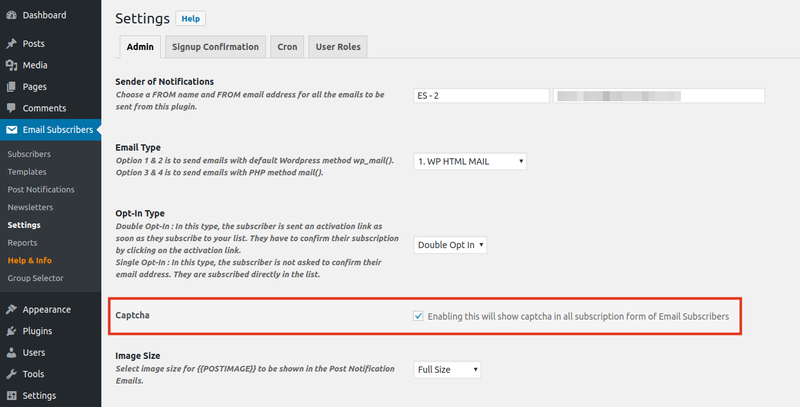 Email Subscribers Pro plan has recently added CAPTCHA to all it’s email subscribers forms. So the next time somebody tries signing up to your list, Email Susbcribers Pro will ask them to fill up an easy math captcha. The captcha helps differentiate a human from a bot and ultimately keeps your email list free from spammers. BTW, the CAPTCHA feature isn’t compulsory. It is set OFF by default. And you can turn it on/off from the settings page based on your preference. It’s a much-needed feature and many email services provide it to safeguard email lists. If you are an Email Subscribers user, go ahead and try this simple yet effective feature addition and get back with feedback. Is the CAPTCHA feature available on Pro edition only? Yes, CAPTCHA feature is available in Email Subscribers Pro edition. Sir my site was working great before updating WordPress to version 5.0. I have been using your plugin for a long time but when I updated the WordPress 5 my site is crashing, Does anyone know how to fix it? when someone visits my site he get an error message on the page You can see it, and I am using PHP version 5.6 on WordPress 5.2. Can you please contact us via hello@icegram.com? Also if possible let us know the error. Name & email text are in the same line as the input boxes. It was working great before updating WordPress to version 5.1. Any possible fix to this? We are glad that you love the simplicity of Email Subscribers Form. We will take a look into form layout issue soon.